David La Maestra (aka Dave Scott) begins his journey in 1990, serving as a DJ in the locations of the province of Messina. After 5 years, his artistic expression led him to undertake the activities ‘ of speaker and trainer until 2003 , when , together with Giuseppe Acunzo (aka Joe Addicted , DJ and sound engineer ) founded the production project ” PhunKaDeliX ” through which individuals are signed “Analog Life” and ” Elektronik ” on the then fledgling label FKJ Records. In 2007 , the project was temporarily put on standby, and from here, Dave takes on its own vesting period and search replacement during study and composition . At this point that the figure of Nello Nicita (Nick Morris) plays a fundamental importance , pushing the same Dave to invest his energies in courses of audio techniques and creative experimentation , expanding his horizons even listening to sounds’ deephouse , techouse , UK garage, disco, funk , jazz and classic house . In January 2012, the cooperation of both is translated into the production of a series of releases under various projects such as QLab , Inner Blue feat.Bronagh , TLM (along with Daniele “Ti.Pi.Cal.” Tignino), D@bit and D.Dovico , D@bit feat. Marienne, Nick Morris & Dave Scott . Since February 2013 , project D@bit is ” melted ” in creation ( along with Max Previti, aka Kick Douglas ) of Dabit Records label , in which Dave currently plays the role of “creative” . In the summer of that year , he decides to get back in the game again serving as a DJ, and embarking on a new study period , increasing its background music (thanks to some events of ” showcase” Dabit , ) . At the same time the birth of the label , Dave joins Nick in the creation of a structure adapted to the needs of their technical and creative artistic partnership , and that ‘ the Soundfactory Studio , currently operational in steadily growing to meet the new horizons record . 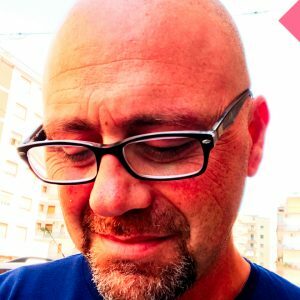 Since 2016, through the maturation of subsequent collaborations with DJ, producer and manager of LifeSentenceRecordings, Mattia Scudellari (aka Matthew Skud), Dave was asked to fill the role of “selector” in the podcast section of the community group LSR Crew, which he deals with the selection of artists and their same group online podcasts. If you have any queries, please send message, and we will be in touch soon.